"I've experienced a decrease in back pain since using this item. I would recommend to others. Chris"
"My husband has been using these to relieve back pain. He is very happy with this product, and has shown a marked improvement as a result of using all three wheels daily. " "I had been using our stair rail or kitchen countertop to try and crack my back; just started using the wheel but so far very happy!" "I love them, and have told other people about them. ( but you need to recharge me for them, because I had stop payment when i did not hear from you, I still owe you $119.97 )"
"My daughter brought this to my attention. She uses the large one and thinks it’s fantastic. 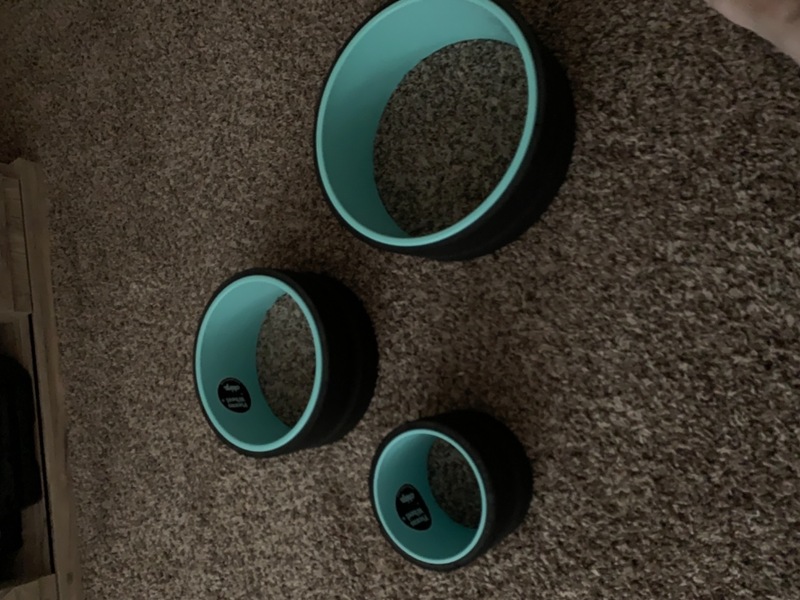 I ordered all three as I have back problems and once you get the hang of it (slow and steady) it made a world of difference. I use it everyday for about 5 minutes. Now I am telling everyone who mentions back problems to me and I let them try for themselves. So far everyone agrees. Even people who come over who don’t have problems ask me what are those 3 circle things? (I keep them in the living room)I explain and they try them out and they just love the way it makes them feel. Thank you!" "I haven't felt this good in a long time. Thanks plexus! " "excellent product. not only am I using them , my daughter and granddaughter are too. 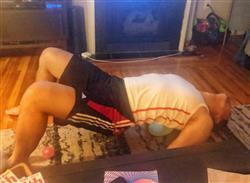 Helps stretch my back and ease the pain in my lower back. My great grand son loves the small one , he carries it on his arm and lays down on it. He calls it his and noone can have it while he is here. Love this product thank you"
A bit hard but overall really well made. "I wish the foam was thicker and had more give (more like a tennis ball). It’s too rough for my preference when I am stiff and need it for muscle compression. It fits between the scapula, which is a benefit over the foam rollers. I prefer the softness of foam rollers when sore/stiff. But when muscles are flexible, these are great. I am a licensed massage therapist (13 years) - I also train in martial arts. I am glad they changed them to allow space for the spine, as they are too hard to push on the spine. I couldn’t recommend the first version without the spinal space. I would recommend these but only for someone who is not significantly stiff or sore in the paraspinal muscles... unless they somehow soften the foam. Seams are well adhered and so far, I enjoy all 3 sizes and believe they’ll last a very long time. I plan to use them often." "So far good! but the only issue is the rubber on the bigger wheel is starting to come off in the middle, sent a email with now response yet?!" "It can take some getting used to, but once you feel how all three work on your back, it helps back pain tremendously. It releases tension, fits in between the shoulder blades and helps to align your spine within minutes of use. Fantastic product! " "I've had back issues for 25+ years. Arthritis, bone spurs, collapsed discs. I constantly need adjusting. These really help me get those "pops" that relieve pain. I've tried so many products, this is the best I've found." "I work at a desk for 8 hours a day and I can’t wait to come home and roll back on the plexus wheel! Love this thing." "I am able to align my back on my own and not have to go pay a chiropractor. I am very impressed with this product. " "This REALLY gets my hips and legs ironed out. Best impulse purchase ever!" "For years my back has been killing me -- flying a helicopter certainly takes it’s toll on me. I discovered these by recommendation of a fellow helicopter pilot while on deployment. I used them the entire time (1-2 times a day) and my back felt so much better. I immediately purchased a set of my own and have been loving them! Even my fiancee uses mine all the time now and has found it to make a difference in her back as well. I would recommend these to every pilot." "To be a little honest, I just got these so I haven’t fully utilized everything you can do with them. However, I’ve been working long hours and it’s all computer work. By the end of the day, my neck and shoulders are killing me. I used the larger one just yesterday evening and it popped my back (like my chiropractor does once a month) and it felt so much better. Nice to know I have other options and yes, better than a foam roller which can’t really effectively get up to the shoulders. " "Use it every day "
"if anyone is on fence about this item just do it it’s worth it "
"I have tried many things for back pain, and this is the first thing that has really helped. I use it morning and night to stretch my back and massage my muscles. " 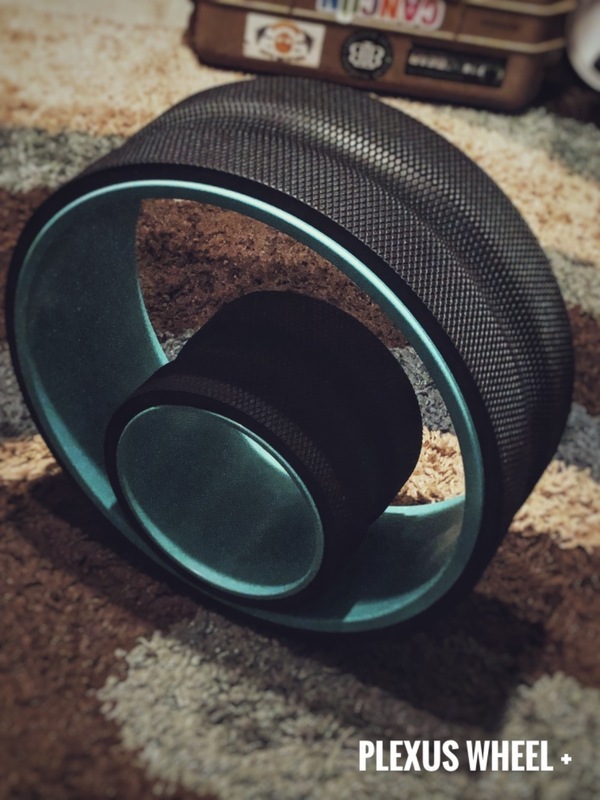 "I have had a bad back for years sciatica, sacroiliac,herniated disc, you name it, this wheel works great you can get a really good stretch, even hip flexor stretch or crack that upper back if you are tight. I just moved around now and my back cracks on it's own "
"Great results! At first it hurt a little because my muscles weren’t use to them but after a week my body begs for them if I miss a day. Well worth the money. " "I just started using this product and I can’t wait to use it again. It’s definitely hitting targets that are not usually stretched. Thanks Chirp!" "I have had thoracic and lumbar back pain off and on for most of my life. While I'm not pain free, using the plexus wheel has definitely decreased my pain, especially in the thoracic spine. I noticed a difference after the first use. " "I have used many back rollers, and I have loved them, but the difference with this is the space for the spine, and the narrowness which allows it to fit between the shoulder blads. I wish they made one a little smaller than their smallest for an even deeper roll. " "I asked for the Plexus Wheel for Xmas. I wanted the set but thought I’d try the 6” first. Best decision ever! I have horrible pain between my shoulder blades and neck and the deep tissue wheel has provided so my relief! Used on the floor or wall, it really makes a difference! Essential in my daily routine and for recovery after workouts. Can’t wait to get the other sizes!!!" "I got the smallest Plexus wheel, and it's great. Its width allows it to get between my shoulder blades. I'm very satisfied." "recommended to son and his wife, they tried it and will be ordering one"
"The product is great. My back has never felt better. 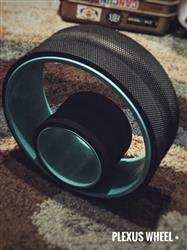 Received the Plexus Wheel within a couple days of ordering. I really liked the instructional videos that were emailed. From top to bottom a great experience "